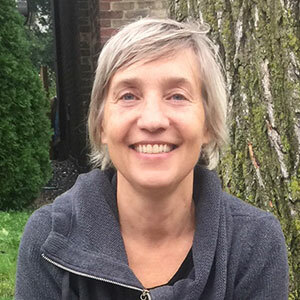 There are so many different alternative modalities available to us that help release stress, anxiety, and illness, such as Chinese medicine, aromatherapy, biofeedback, Ayurvedic medicine, homeopathy, reflexology and reiki to name just a few. They are referred to as “alternative therapy” because they are treatments outside the standard Western medical practice. However, most of them are older than Western medicine and they really work best alongside standard medical practices as ‘complementary’ medicine. Once you can consider both practices as valid and important, you can use them to target specific health issues accordingly. These alternative therapies are allowing people to take back their health in new ways and they all seem to treat the person from a holistic perspective, meaning taking all things into consideration, the whole mind, body and spirit rather than just the illness. Today, we want to focus on sound therapy, a modality that is on the rise and one that takes us back to our roots, ancestors and history. 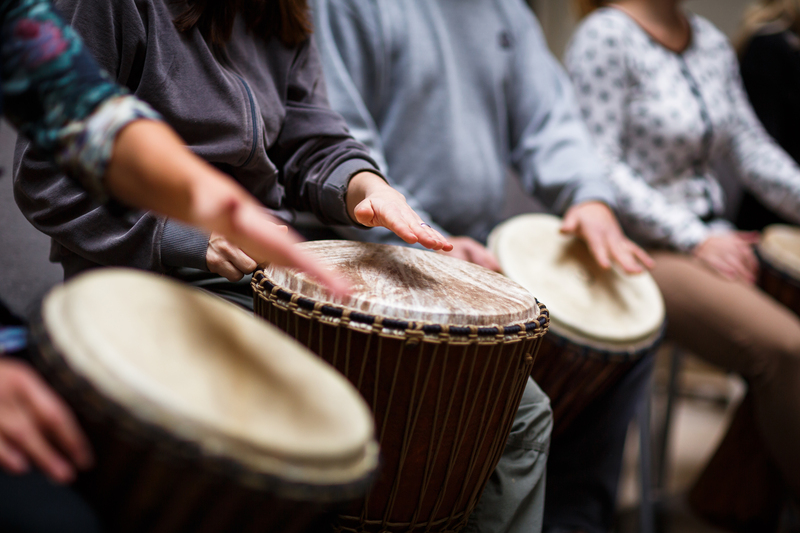 Sound, instruments and music have been used in various Shamanic and Indigenous cultures for thousands of years as a powerful tool for healing in rituals, ceremonies and rites of passage. Whether in the form of instruments, such as drums and rattles, or voice through chanting mantras or singing, these various methods or techniques all carry the same intention: to come together in sacred connection to soothe our suffering, ail our deep wounds, reduce stress, deepen our meditative practices, celebrate and connect with spirit, mother earth and father sun in order to find harmony and balance once again. Music has always played a major role in our lives throughout history and continues to do so today. The difference is that science is taking a deeper look at understanding how frequencies and vibrations can benefit the wellbeing of our bodies and minds, as well as other physiological aspects. All the ancient mystery schools from Greece to Tibet and India have been using sound to heal the mind and body, which scientists in the Western world are beginning to fully understand through current research and experiments that lead us back to the lost schools of Pythagoras and Johannes Kepler. Pythagoras, known as the father of mathematics, geometry and music, conceived of the whole universe as a vast musical instrument and called the vibrating strings of the universe the “Music of the Spheres.” Jonathan Goldman states, “Pythagoras taught of the music of spheres and how the movement of the heavenly bodies could be perceived and reflected in the intervals of plucked strings.” Pythagoras would perform ‘soul adjustments’ with music to heal the body and the emotions of the person using frequency and vibration. Sound helps to accelerate rapid shifts in our brainwave states by using entrainment. Entrainment is when a weaker vibration meets a stronger one and causes it to synchronize and transform itself into the vibratory pattern of the stronger tone. A harmonious sound projected at a person who is in a state of disharmony will eventually bring them into resonance with the harmonious sound. By using frequency and pace, we can entrain our brainwaves to shift from a normal beta state to an alpha relaxed state, and then even further to reach a meditative state of theta and then delta (sleep). This is what meditation practice does, but with sound it is the frequency and vibration that is the medium that causes the shift. Both Jonathan Goldman and Jean Beaulieu have done extensive research into sound and have worked in anechoic chambers (a room designed to completely absorb reflections of either sound or electromagnetic waves) to discover that our nervous system, heart and other body fluids and organs produce sounds and can be affected by sound. They both used tuning forks to achieve this. Our body had an energy field that is linked to the Universal Energy Field. This is related to what Einstein referred to as the Universal Energy Field through his famous equation E =mc2, and this field is the only reality, and takes us right back to the Egyptians and Pythagoras. There are energy fields within energy fields, which are all created and maintained by the Universal Energy Field. We went into some detail about the auric field and chakras in our recent blog here. All behaviors, whether imbalanced or functional, are attempting to bring us back into resonance with the Universal Energy Field. Our energy field is active and intelligent, continuously changing in response to different aspects of our life. It’s our emotional reactions to situations that will determine the state of our energy field. We can correct our energy field by rearranging and rebalancing it, and using sound and frequency is one modality that can achieves this. Jean Beaulieu, in his book Human Tuning, states the following: “A fundamental principle of sound healing is that physical, emotional, and mental symptoms are being generated by an underlying energy field. 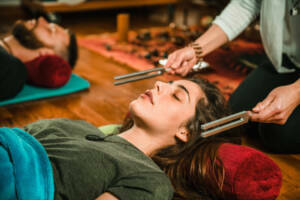 Thus, if we change the energy field, then the physical, emotional, and mental behavior patterns will also change.” The auric field and chakras can be tuned and aligned by using tuning forks, Tibetan and crystal bowls, and toning through voice. All these methods produce tones that will bring the body, mind and energy centers into harmony. Fabien Maman’s research and work with tuning forks revealed that cancer cells would explode with audible sounds while healthy cells would be invigorated and revitalized. He is responsible for creating the new tuning fork system and uses them in Chinese medicine instead of needles. In fact, all of his work uses sound, color and movement to heal the body, mind and spirit. Here is the link to his fascinating work. Although they are named Tibetan, they originally come from a shamanistic-animistic Bön religion from pre-Buddhist Tibet roughly over 5000 years ago. Both Shamanism and Buddhism came together in Tibet, and certain aspects of their practices merged together or influenced each other. Buddhism uses sound through voice, bowls, and tingshas intensively. You can find two types of bowls: Tibetan singing bowls made of metal (originally made from 7 different metals), while cheap ones are cast and not of the same quality, and crystal bowls are made of quartz crystal. The tones and overtones these bowls create can help you realign your body, focus your meditation practice and bring you back into balance. The pure tones will release hormones and neurochemicals that reduce pain while inducing brain waves states of peace.It will help to release feel-good hormones, like endorphins, melatonin and nitric oxide, which will reduce your heart rate and relax your nervous system. The experience is hard to describe unless you’ve been enchanted by them. Tingsha is a type of cymbal used by Tibetan monks in rituals, prayers, and ceremonies. They use them to clear the environment of any negative disruptions while bringing the body back into coherence. They pierce through anything and awaken the spirit on a physical, mental and spiritual realm. It has been said by the Ancients that if you were gonged for ten days straight, you could be cured of anything. A gong bath is an ancient Asian practice that releases toxins from the body, raises your vibration and takes you on a sound journey into unknown places. The vibrations come in waves, washing over you into a state of deep relaxation. This will help any sleeping problems, reduce stress and unblock emotions very rapidly. If you haven’t been around a gong, you should try it. They are very powerful and can transport you to other realms rapidly. It’s one of the best body messages you can get without being touched! 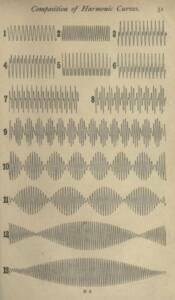 On a physical level, sound is a waveform. It has the ability to move through substance and matter through vibration. Sympathetic resonance is when two objects or bodies have similar vibrations or frequencies. 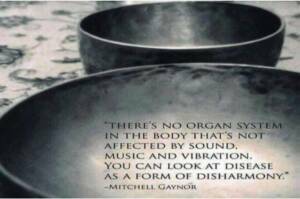 So a body will come into resonance with sound, the vibration of the Tibetan or crystal bowls, tuning forks or gong that’s being played in close proximity, literally shifting, changing, and raising the vibration of it. If we feed ourselves with harmonious, calming and uplifting sound frequencies, we can boost our cellular functioning, improve our health and help heal our physical and mental ailments. 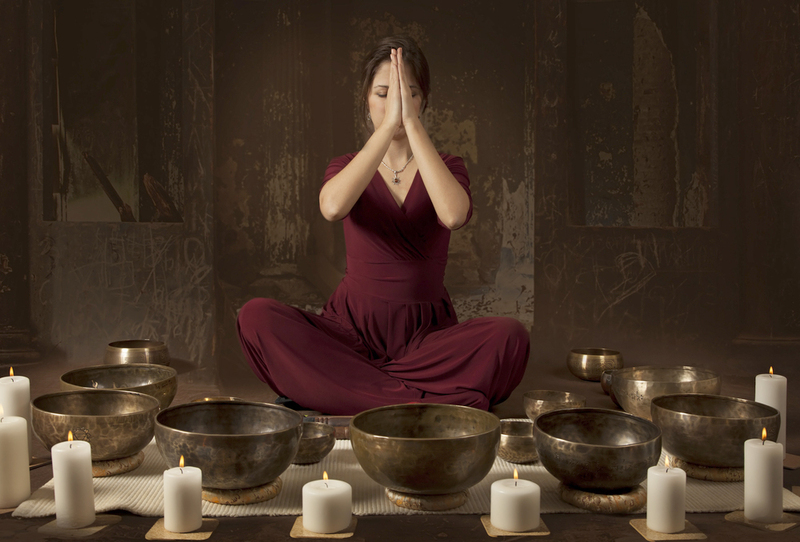 If you get a chance to experience a sound bath just once, you will immediately begin to feel the benefits and power of sound. There are other instruments such as the flute, drum, chime and didgeridoo that we have not looked into, but they are all a part of this modality. They say that sound (and color) will become the healing modality of the future, linking us right back to our ancestors and the source of where it came from. Tibetan Singing Bowls are really interesting. I really like the way. Thanks, Andrew. They really are fascinating. Love this! 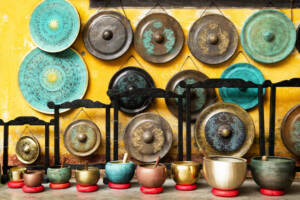 When I went for a session on sound healing at Seeds of Satya our instructor used a mixture of chants and gongs. It was great! Thanks, Sam, it truly is divine to work with sound in various modalities.